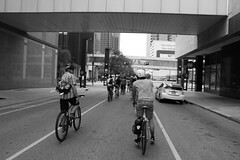 BFKH presents 'Bike to Work' group commute, and happy hour. 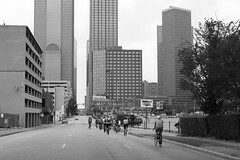 The American League of Cyclists have designated the whole month of May as “National Bike Month”, and May 20th as “Bike to Work Day”. 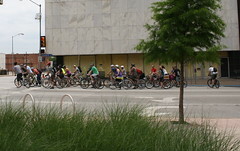 Come join us on May 20th for a group commute to work. 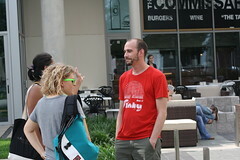 We meet at Pearl Cup at 7.30 am, and after our caffeine fix, and some tasty croissants, one group heads south to Downtown (via Baylor and Deep Ellum), and another north to Mockingbird Station (and beyond via DART). 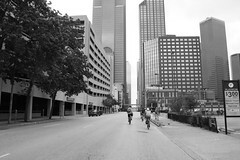 In honor of Bike to Work Day, The Pearl Cup is offering a 10% discount to anyone who rides their bike this Friday! After you’ve finished your daily grind, why not come meet us for a BFKH happy hour at Barcardia, which starts at 6PM. 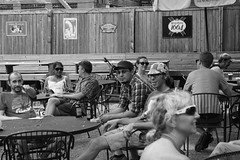 Meet other commuter cyclists and share experiences over a beer. 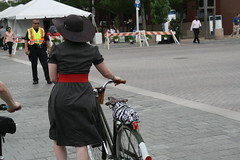 Even if you have never commuted by bike, come on out and meet some people who have! Meanwhile, have a happy National Bike Month. Original photo courtesy of Dan Bailey of Pallas Athena Custom Bicycles. can’t wait. see you all there.